I have had this post in my mind for so long. Every time I get the news that a friend is expecting a baby I feel the need to tell them about my favorite baby products. If I was very rich, I would be happy to get these for them every time. In real life though, I recognize that maybe, just maybe, nobody wants to be bombarded with advice.So I thought putting all those recommendations in a post would be a good idea. These are the things that have really made a difference, in terms of making our lives easier, happier or healthier, this is the list I would have liked to have when I was pregnant. First of all, in terms of what babies need, well, as long as you have a crib, diapers, and clothes for about a week (think 7 onesies and 7 bodies, plus some hats) and a couple of blankets, you will most probably be fine, at least for the first couple of months. -Muslin swaddling blankets. I really love the ones made by Aden & Anais. You really can use them for everything: as a light blanket on the bassinet, as a picnic blanket when going out, as a sun cover, as a towel, and yes, as a swaddling blanket on those first months. 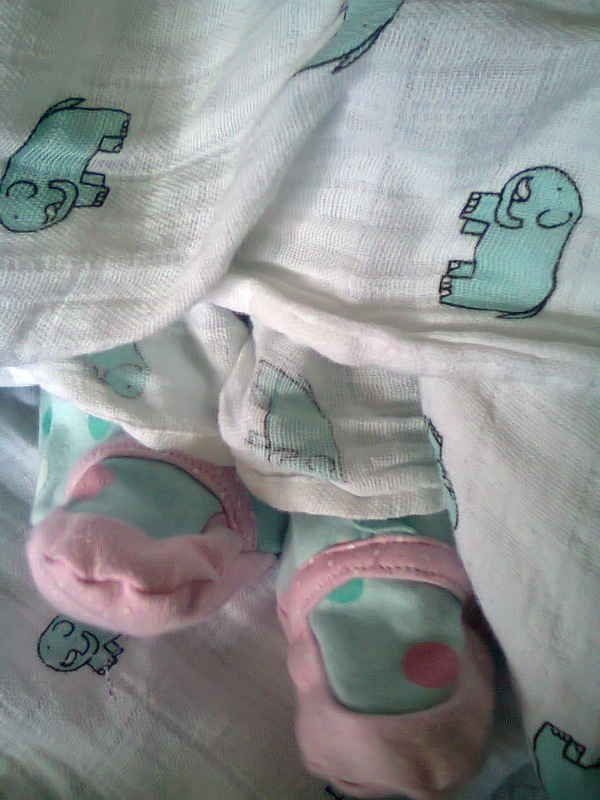 They come in the loveliest prints and they get softer and softer with every wash. This is the classic present I get to anyone who just had a baby. 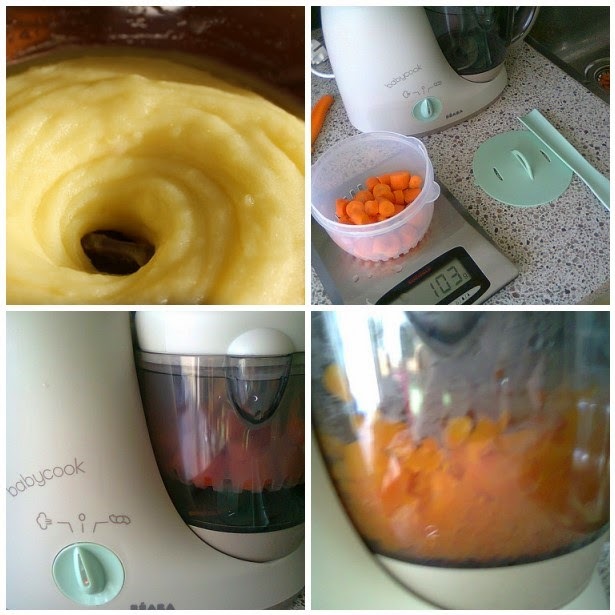 -The baby food processor. We have the Beaba Babycook, I wrote about it a while ago, we love it so much, I am not even sure I will ever get rid of it. We still use it to make apple puree and smoothies every now and then, we regularly steam our broccoli in it (making sure it stays crispy) and I plan to keep using it to make sauces like pesto. 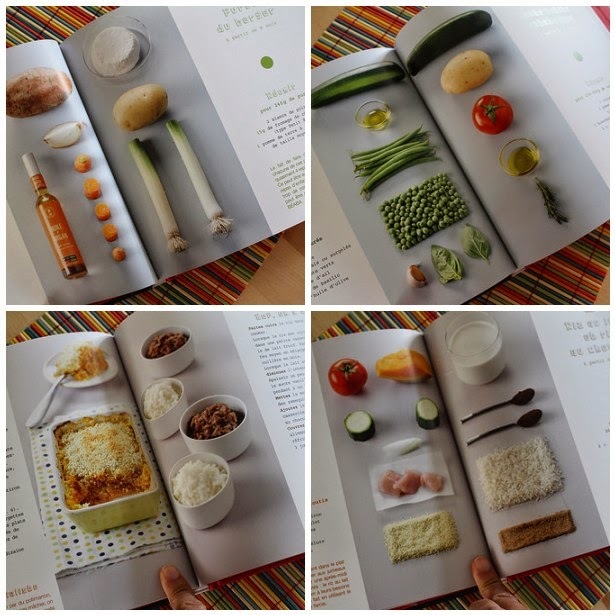 I love that it is so small, that you can wash it easily, that you can set it to work and forget about it, without worrying that you will burn a pan (if all the water evaporates) or the food, and that you can program it to steam your fruits and vegetables to the perfect point, assuring that you don't lose any nutrients. I love that you can puree in the same container. It is just pretty much perfect. (If only it could be made out of glass or steel). -An ergonomic baby carrier. To prevent hip dysplasia make sure that when the baby is in it the legs form an "M" or frog position and never carry facing front. We love our Lillebaby. 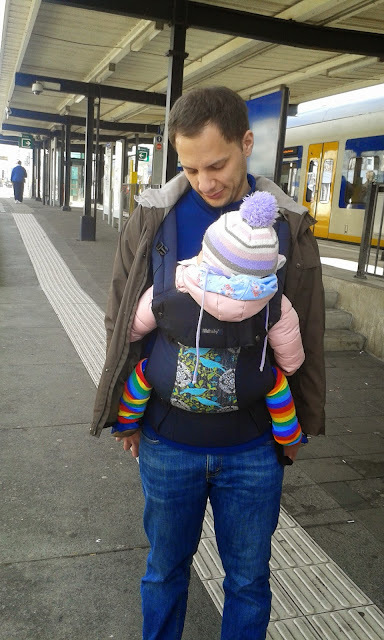 We got it when our oldest daughter was around 1 year old, and now, at 5, she can still fit there, in the back, on emergencies (like when we travel and she is tired of walking) It is one of the only baby carriers that has lumbar support and that goes from newborn to toddler. It is just so comfortable. 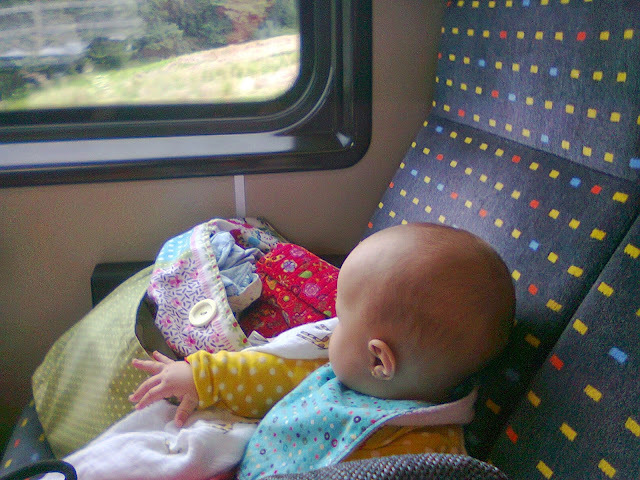 I wore Laia so much in it, it was a godsend when I had to go out with both of my daughters and walk for long distances. The toddler would be in the stroller and I could carry the baby. -Our beloved cloth diapers. This was easily the most expensive baby item we got for our first daughter. Even when we got a very good deal with them (we had one of those pay 3 and get 4 offers), we still invested around 450 dollars on them. Yet, we are still using them on our 2nd daughter and I am so happy we have been able to avoid generating so much waste and saved so much money. -Our all-terrain stroller. We just sold our Maxi-Cosi Mura Plus 4 and it feels like the end of an era. I never thought I would let go of it, I loved it so much, and loved every second we used it. It really was like the Land Rover of the strollers, we went on so many walks together . It took the hardest roads smoothly, no matter if it was cobblestones, sand or the woods, it folded so easily, it went from babyhood to toddlerhood, it is just so perfect. The only reason we sold it is it did not fit in our cargo-bike and I needed something in which the baby could go from bike to stroller as she often falls asleep in the bike.It is impressive how technology has changed in just some years, puschairs that fold so small that they can fit as cabin luggage are so life-changing. We were between the Yoyo Zen and the Pockit Plus, but went for the latter because it was the smallest and the lightest. -A babywearing jacket. Particularly if you mean to have the baby in a sling/carrier for long walks.After much research, I went for the Softshell Mamalila. It was such a life saver, because I felt comfortable enough to wear the baby even during the coldest winter days and know she was warm enough. 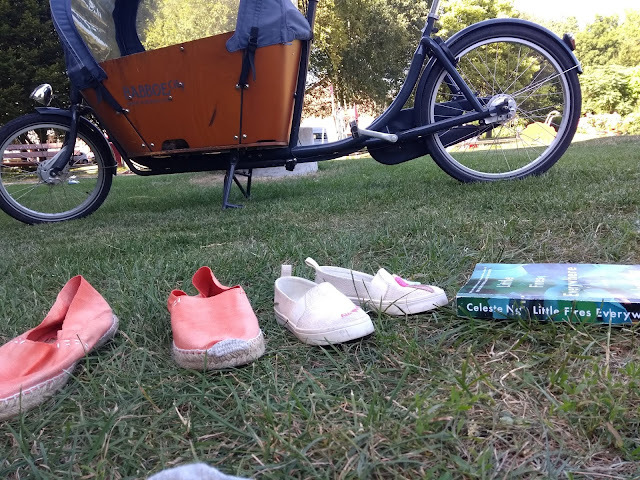 I wore Laia a lot more than I did Yulia, because my older daughter still got tired and for drop offs and pick ups it was way easier to push the toddler and carry the baby. I have an "all seasons" version that is water and windproof with a thin fleece lining, so I wore it both during the summer and the winter (with thicker sweaters underneath). There is also a winter version that I was very tempted to get, but I think having a jacket that can be worn the whole year long was the best. I just wished I had made the decision earlier, because you can start wearing them since pregnancy. The jacket comes with several attachments in such a way that it is a pregnancy jacket, a regular jacket or a jacket where you can wear the baby both in the front and in the back. It was not cheap, but the quality is very good. -Baby Bouncer. This little "chair" was crucial for the first months, the baby would often play happily while I was able to take a shower, cook something or just rest. It is so totally worth it for the freedom that it gives you. -A Boppy breastfeeding pillow. When I was staying at the hospital with baby Y, I got the opportunity to try all kinds of different breastfeeding pillows. I did not like the ones that were all soft and loose, so I finally settled for a Boppy that has the perfect form and a certain rigidity. I loved that it can be used for belly-time exercises later on and as a little support when babies start learning to sit. -Nursing clothes. 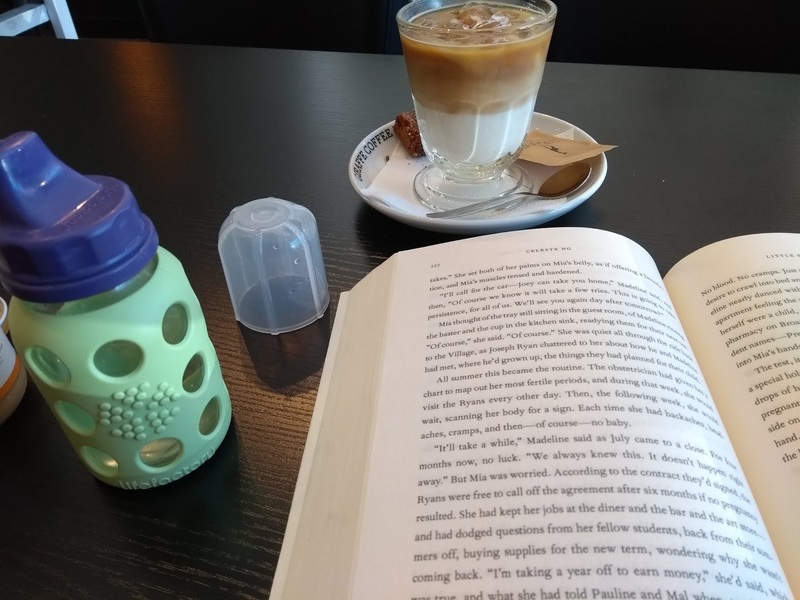 I wrote a whole article on how breastfeeding clothes changed my life this second time around. So comfy, so pretty, so worth it. -Life factory glass baby bottles. So, both my kids were breastfeed (the second one is still in the middle of it), but we love these bottles as sippy cups and they are so versatile because depending on the life stage you can change the lid to have a bottle, a sippy cup or a regular bottle. I really do not trust plastic and we are working hard on trying to avoid it (such a hard task), but particularly when it comes to children's exposure I want to limit it and so this was a great option. 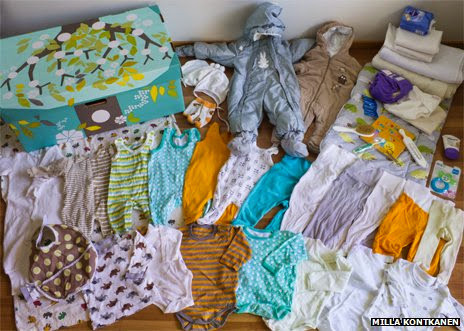 Which are your favorite baby items? Which things made your life as parents easier?